Liverpool are through to the Champions League quarter-finals after a 1-3 win over Bayern Munich this evening. Two goals from Sadio Mane and a Virgil van Dijk header put the Reds through to the next round. 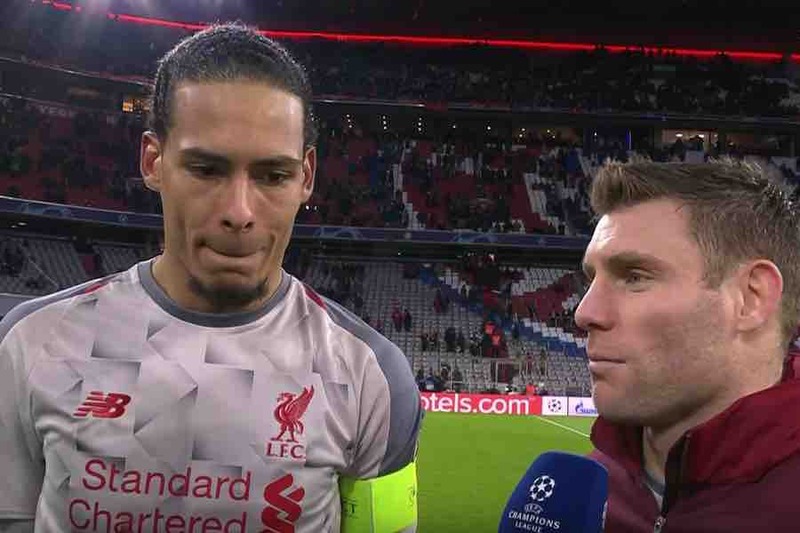 After the final whistle, goalscorer Van Dijk and vice-captain James Milner spoke about events at the Allianz Arena. Milner felt Liverpool were not at their best, but praised the impact of the forward line of Mane, Roberto Firmino and Mohamed Salah. You can hear what else they had to say about their efforts and progressing to the quarter finals in the video below.